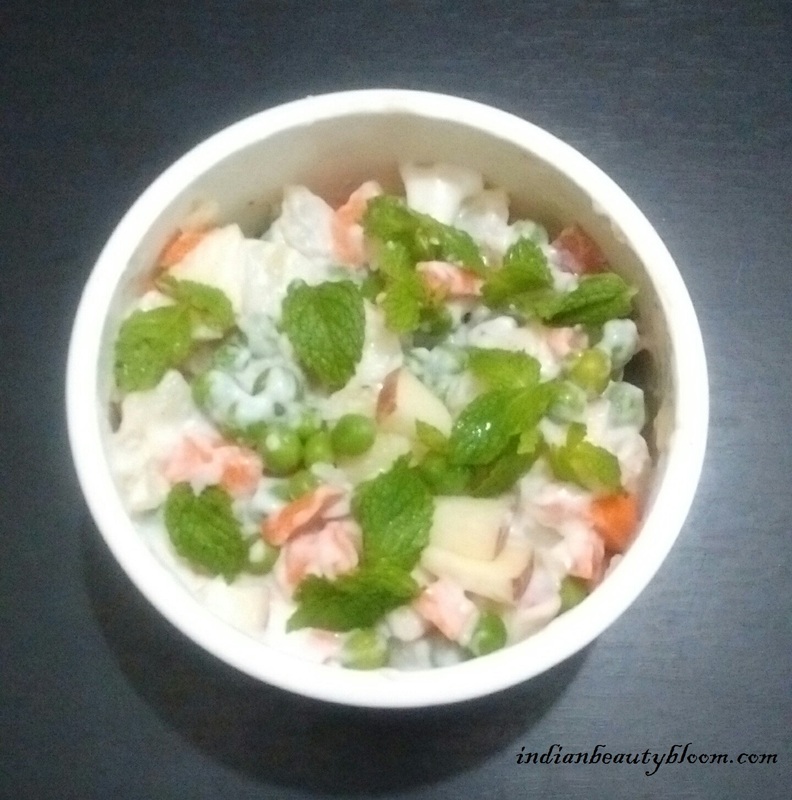 Today I am going to do a different kind of post , it’s not any website review or product review But it’s a recipe post along with review of a famous Indian food brand. Dr. Oetker India is a famous food brand which has various sub brands under it . The first and current sub brand is FunFoods . FunFoods is leader in offering western cuisine in India . 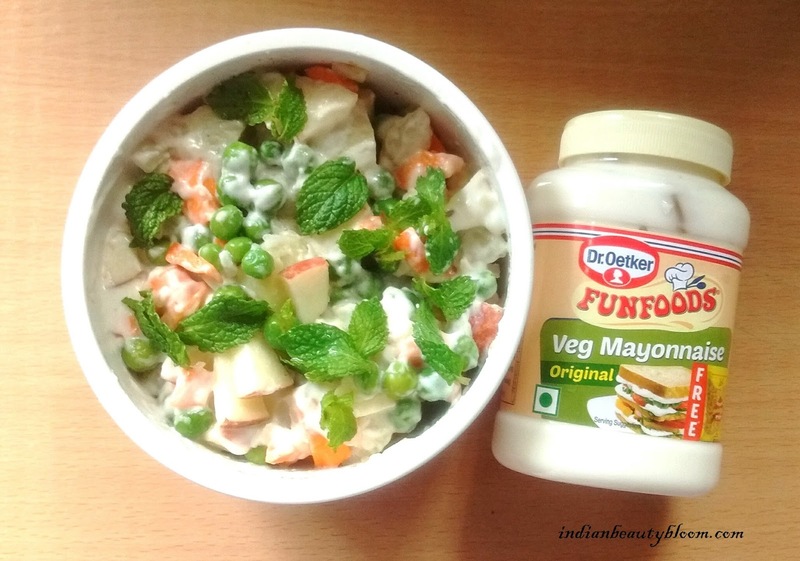 FunFoods Veg Mayonnaise is a classic French Sauce which is used in making Sandwich , Salads , Wraps etc . It’s Smooth & Creamy and is available in 8 flavors so suit every one’s taste . Today I am going to share a Recipe which I have prepared with FunFoods Veg Mayonnaise . * 2 Carrots peeled , boiled & diced . * 150 gms of FunFoods Veg Mayonnaise . 1. Boil potato’s in a pressure cooker till done , after that let it cool for some time then peel the skin and dice it into small cubes . 2. In a separate pan boil the vegetables like peas , carrots etc , one can also add french beans and some other vegetable of their choice . 3. In a mixing bowl add all boiled vegetables , diced apples , salt , chaat masala and mix well . 4. Then add Mayonnaise and mix properly . 5. Garnish it with some fresh mint leaves . This is not only delicious but also healthy and is so easy to prepare . Price of this product is Rs 119 for 500 gms . So it’s economical & affordable . 2. 8 flavors to choose from starting form plain one to spicy one . 5. The Veg one is egg free so good for people who want to have egg free mayonnaise .